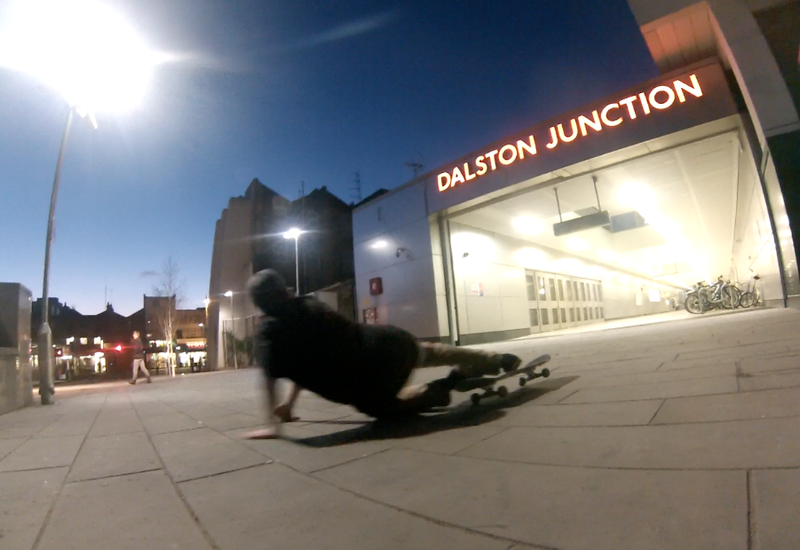 Happy birthday OPEN Dalston! Ten years campaigning for a sustainable community. OPEN is a community action membership company founded in Dalston in 2005 and run by volunteers. 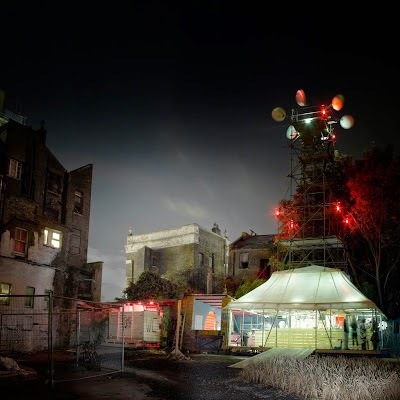 This OPEN Dalston blog is a chronicle of events in Dalston since 2004. There have been more than 300 posts, more than 500 comments and more than 375,000 pageviews. OPEN Dalston's core values include the belief that Dalston should have something for everybody and that promoting local diversity - social, economic, architectural, cultural and bio-diversity - is essential to sustain our vibrant residential and business community. This belief has led us to resist the imposition of top-down monolithic solutions and remote decision making, and to campaign to preserve local character and identity, for affordable housing and independent businesses, and for changes to planned new developments which could better meet environmental and human needs. Here are some of the campaigns we have been involved with over the last 10 years. 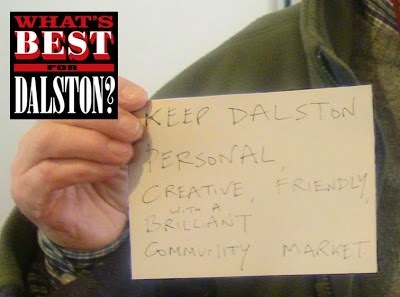 The first OPEN Dalston blog post set out our aims and objectives based on our understanding at that time. Of immediate concern was the Hackney Council's planned demolition, without planning permission, of the 1886 Circus buildings (Dalston Theatre/ Four Acres Club) and locally listed Georgian houses in the town centre. 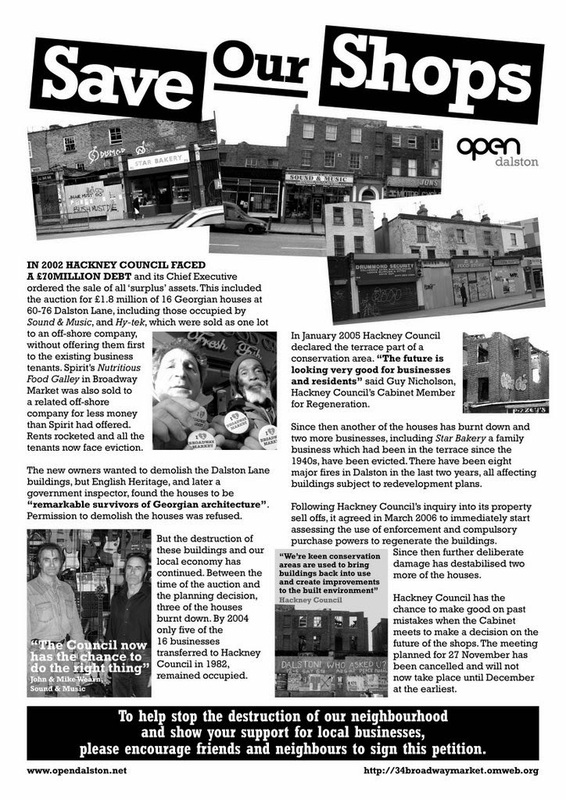 We believed that by saving and reusing at least some of these heritage buildings the area could offer something unique and different for those who came to Dalston to live, shop and do business (and party! Ed.). The authorities neglect of the historic environment and local economy was also typified in Dalston Lane where, since 1984, Council shops had been run down, boarded up and eventually in 2002 sold at auction to an off-shore company, over the heads of the remaining shopkeepers, with disastrous consequences. As the authorities destructive plans for redevelopment emerged a major objection to the GLA/Transport for London's plan for Dalston was the total failure to provide any affordable housing in the TfL development above the station. Their policies at the time were to aim for 50% affordable housing. They planned to build towerblocks which would overwhelm the area and create a windswept, hard surfaced, shaded public space and without adequate provision for children living in the new flats. The masterplan for the scheme had been agreed before public consultation had even started. 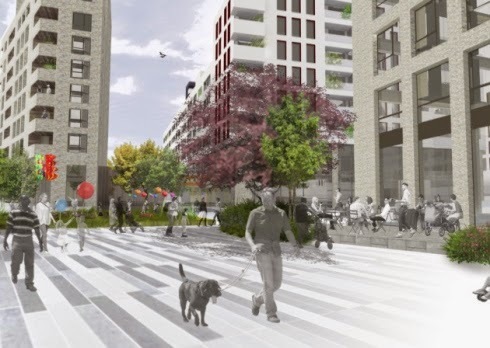 The authorities claimed that a 30% reduction in the density of the original Dalston Square designs was an adequate response to community objections. Hackney Council claimed that, due to its own neglect, the 1886 Dalston Theatre and locally listed 1807 Georgian houses were too derelict to restore and be part of the new scheme. It first attempted to demolish the buildings without public consultation and planning permission, which OPEN's Court injunction prevented. After four Court actions OPEN eventually had to give up the fight and the historic buildings were demolished. Hackney then moved on to demolish its derelict houses in Ashwin Street, once again without adequate surveys and planning permission, as a "natural progression of the Dalston Square development". Its plans for the vacant site remain unclear. 2008 was the first year of the credit crash when the banks, major housebuilders and high street businesses faced potential ruin. Barratt had already started building Dalston Square when its shares crashed by 90%. It survived by marketing and selling flats off-plan to Far East investors in China and south-east Asia. 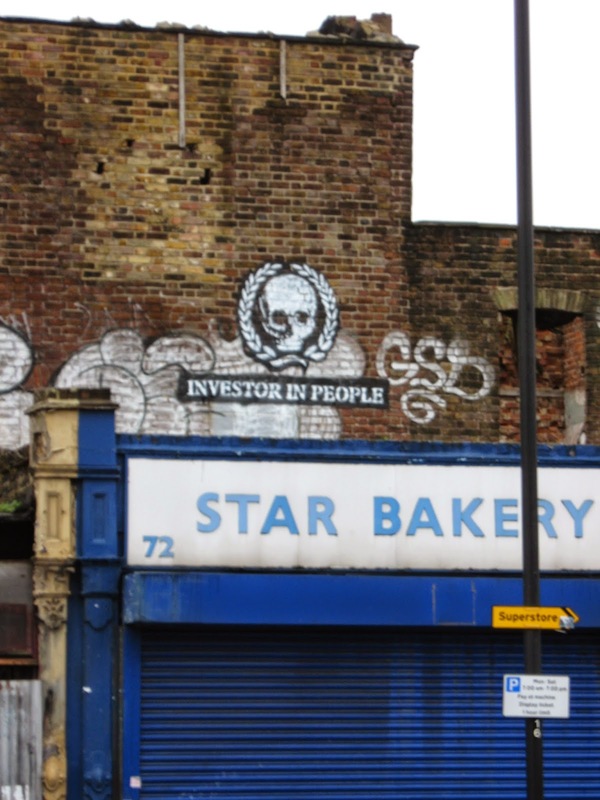 Dalston's redevelopment became a template for London's future development. Ridley Road Market Traders were struggling in difficult times and OPEN supported them in their resistance to Council prosecutions for trivial offences, cancellation of their street trading licences, evictions from storage facilities and the refusal to restore electricity supplies for winter stall lighting. Eventually the government had to step in and stop the madness. The Council finally began consultation and, in agreement with the market traders and local people's views, refurbished rather than redeveloped Ridley Road market. An essential community resource for affordable food and other goods was saved. OPEN also petitioned the Council to support the local shops of Dalston Lane and Broadway Market, which the Council had sold off to off-shore companies, and which were under severe pressure from developers. Many traders faced rocketing rents and eviction for redevelopment and several lost their livelihoods. 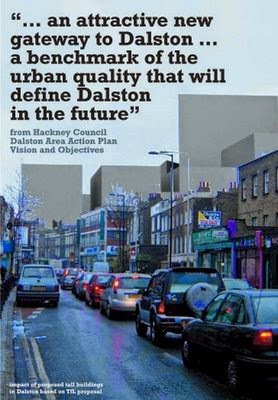 In 2009 OPEN launched a major consultation with local people, to seek their views on the Council's Dalston Area Action Plan (DAAP) proposals which, we were told, would inform the way Dalston would be developed in the future. Hundreds took part in our consultation project and the views of local people have continued to inform our campaigns ever since. 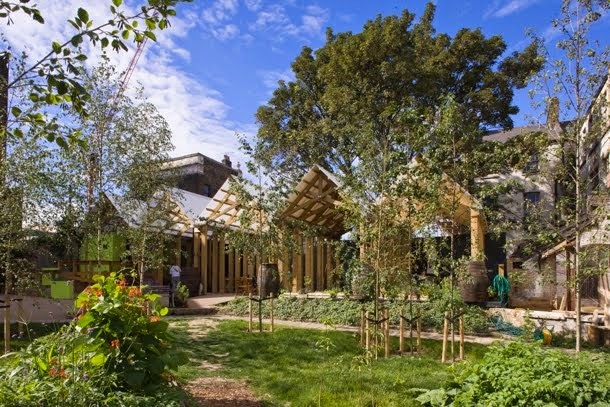 In 2009 we also saw the opening up of the disused Eastern Curve railway line, a post-industrial wilderness, for the Dalston Mill event This in turn lead on to the creation of the Dalston Eastern Curve Garden in 2010 with which OPEN Dalston members have been closely involved from the start. Sadly the 'linear park' which we had campaigned for in the DAAP was redesignated, after public consultation had closed, as a 'shopping circuit' for future redevelopment with the Kingsland Shopping Centre. We made representations, at the Planning Inspector's Inquiry, against the loss of bio-diversity which redesignating the Eastern Curve Garden would entail..
2010 revealed the true cost to the public purse of The Slab - a monolithic concrete raft built above Dalston Junction station to provide a turnaround for TfL's buses. OPEN had campaigned at length against the scheme. 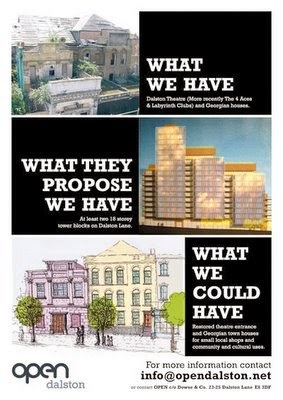 To subsidise The Slab, Hackney had given up its neighbouring Dalston Theatre heritage site for a peppercorn, and granted planning permission for its replacement by towers of private flats which became Dalston Square. Just one bus route, the 488 would use The Slab and not the 60 buses an hour which we were told it had been designed for. Despite being told by UKGov Minister that The Slab was "essential transport infrastructure for the 2012 Olympics", no use was made of it during the 2012 Olympics at all. 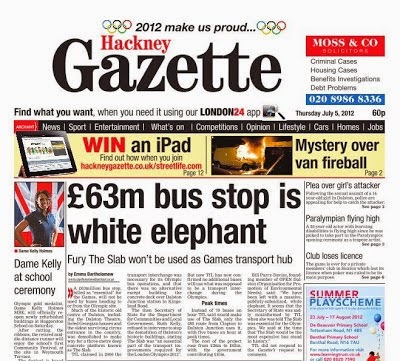 The Slab has so far proved to be a monument to a scandalous waste of local and national taxpayers money - Dalston's "£63m Olympic bus stop". Boris' promised inquiry into the cost was a deluge of drivel. Dalston's 'cool' and 'edgy' reputation, and the East London Line overground extension to Dalston Junction ( The hipsters shuttle! Ed.) was now attracting big money into the area. OPEN assisted local residents to make objections, to Hackney and the GLA, against a major development planned for 67A-70 Dalston Lane/Martel Place. Residents were outraged by its overbearing scale and the eviction of over 60 artists and two independent businesses from the site. The development is now under construction - although its "Bridget Riley style " colourful cladding has since (reportedly) been downgraded to brick. Local kids also attended the Town Hall planning meeting and objected to Hackney selling off our adjoining open green space to the developer after promising us a skateboard playground in the DAAP. Kids had to carry on skating on The Slab. 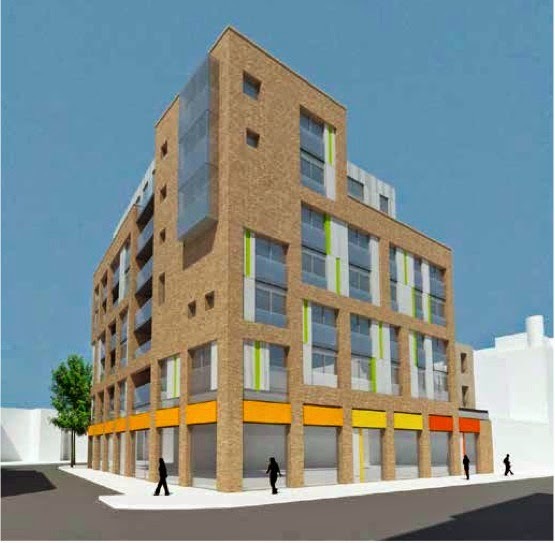 The tsunami of redevelopment applications in Dalston continued. 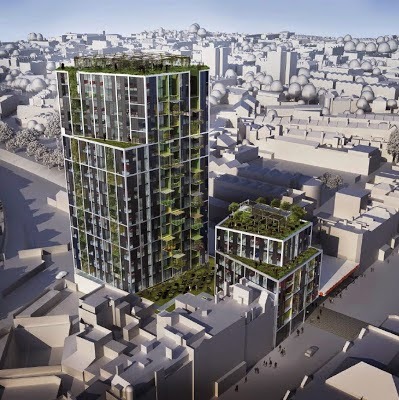 Next up was the "Dressed in Green" 19-storey tower planned for the Peacocks site next to Kingsland station. OPEN members organised a major petition and a local business made us a campaign video. Following our representations the Planning Committee unanimously threw out the scheme. But developers don't give up. Following a 'pre-application' meeting, between the developer and the Planning Committee, at which the public were not allowed to speak, permission was later granted for a new 15-storey design for 98 flats of which only 15 will be for "affordable" sale ( with access though the "poor door") and none for "affordable" rent. The penthouse flats will have a price tag of well over £1million. With the gentrification of Dalston came the new "could be anywhere" style. 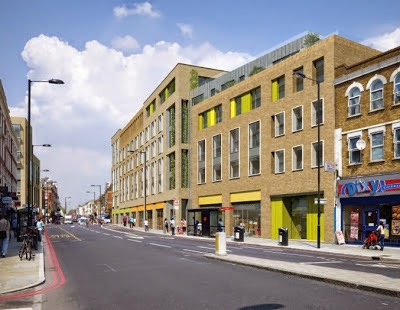 Hackney Planner's advised architects to "design it bland" for the Hackney/Transport for London's partnership scheme with Taylor Wimpey proposed for the "Western Curve" sites - on Kingsland High Street above the refurbished railway tunnels north of Dalston Junction. 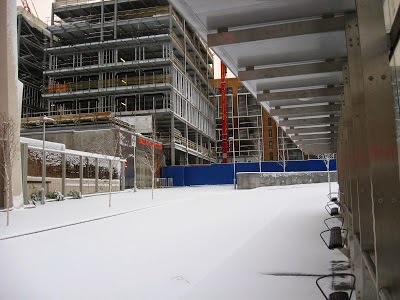 Those sites are now under construction behind the High Street hoardings. 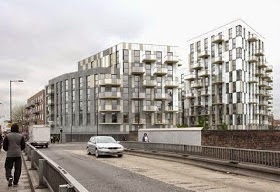 Following OPEN's objections, the initial overscale designs were withdrawn, and some design changes made, but even those will still privatise public land, create a private gated community and reduce sunlight to local listed buildings and public space.Many of the new flats will be below British Standards for natural light and only 9 of 106 flats will be for "affordable" rent. Such is the power of developers to bamboozle Council officers and Hackney's inability, in fear of developers' appeals, to uphold its local DAAP and its core planning policies. 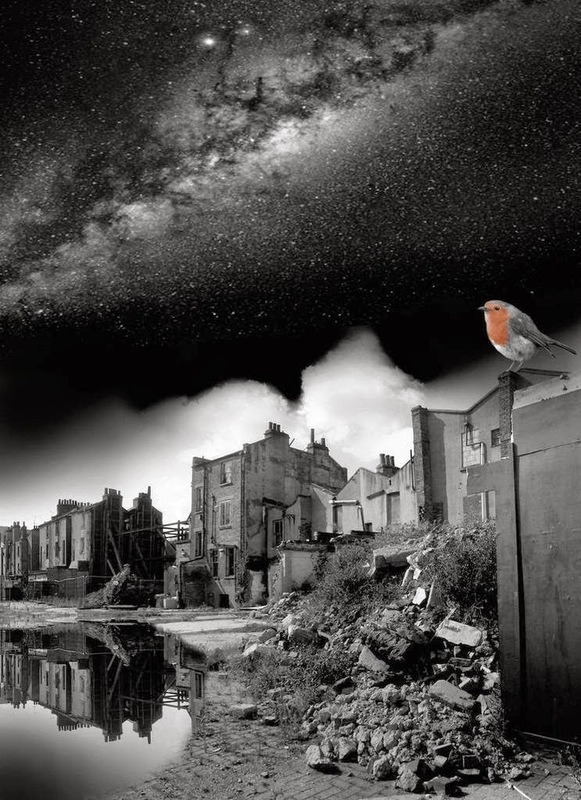 OPEN raised funds locally and challenged the decision in the courts, whilst the Spitalfields Trust sought to meet and persuade Hackney that a scheme for restoration and affordable housing was feasible. Hackney refused to consider alternatives. The year closed sadly with bulldozers moving onto the site. Hackney Council have finally recognised the heritage value of the Kingsland High Street area. 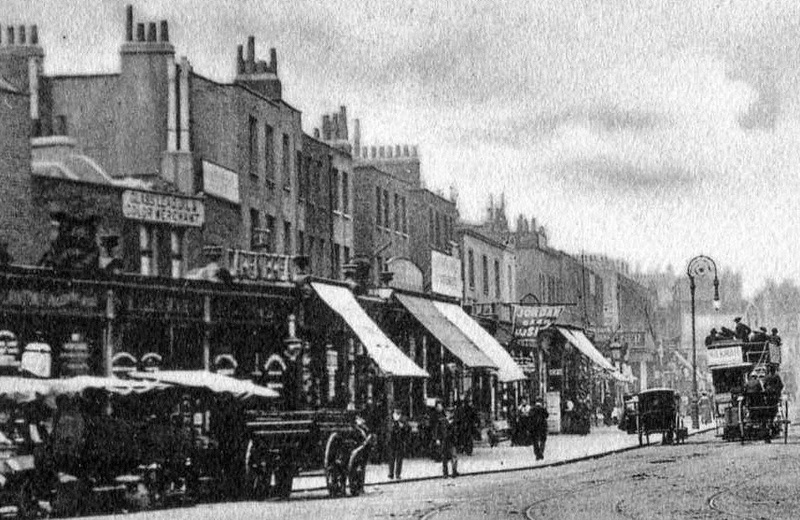 It is proposing a new Dalston Conservation Area. The local buildings have a wonderfully diverse range of periods, styles, detailing and occupancy for which protection is long overdue. But what has been missed out are the buildings in what Hackney calls Dalston's "cultural quarter" - Reeves Printhouse, the Railway Tavern, the Shiloh Church and 10-16 Ashwin Street. They are all equally worthy and much loved locally. 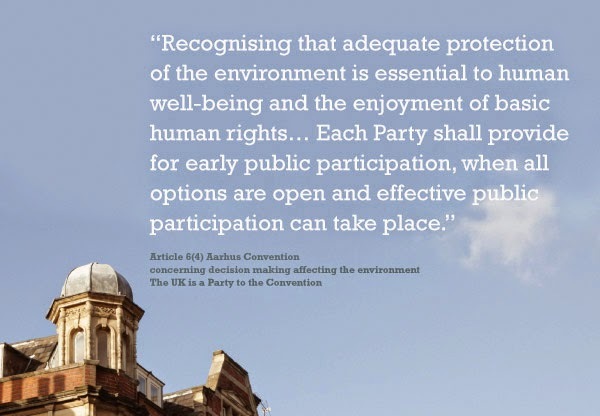 So why is Hackney not conferring conservation area protection on them as well? Is there another plan? The planned implementation of Crossrail 2 ( the Chelsea to Hackney tube) also threatens demolition and redevelopment of many more character buildings in Dalston, unless the authorities can be persuaded of other viable alternative schemes which would preserve our local identity. In 2015 Hackney Council will continue to hope for and encourage the redevelopment of Kingsland Shopping Centre. 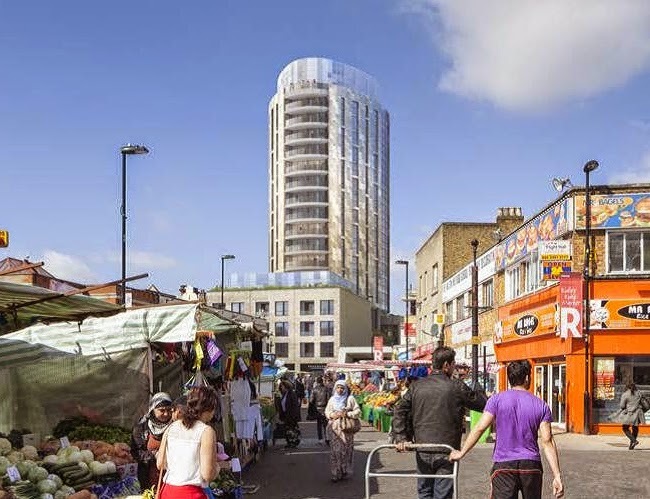 Towers of 500 new flats are proposed to create Dalston Square Mark 2. This will risk the loss of the Eastern Curve Garden, our only public green space, for re-development as a shopping circuit. What will the public benefit be to compensate for the widespread loss of sunlight and bio-diversity? Will there be adequate affordable rented housing and the promised children's play areas?